A bundled Type Cover and some sort of GPU acceleration top consumer wish lists for the Microsoft Surface Pro 4, if a Reddit "Ask Me Anything" session is any indication. 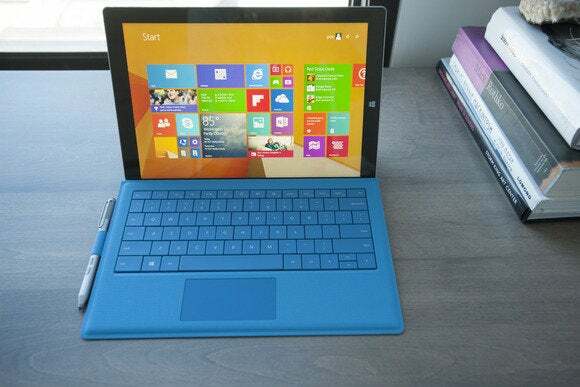 Microsoft released the Surface Pro 3 last week, and the first reviews of Microsoft's tablet are already posting. Consumers, meanwhile, had their first chance to ask their own questions about the Surface Pro 3 on the Reddit site, to Surface chief Panos Panay and the rest of the Surface team. Unfortunately, the tone followed most recent AMAs conducted by tech companies: consumers asked questions or asked for improvements, and the company in question duly noted the requests, promising nothing. In terms of feedback, potential Surface buyers focused on three things: the lack of a discrete battery inside the Surface line (and the cost to replace it); the lack of a discrete GPU chip; and the perennial complaint for a bundled keyboard cover, which Microsoft has positioned as one of the selling points of the new tablet. Where's our bundled Type Cover? Of the three, the latter objection seemed to be the most on point: elsewhere in the AMA, Microsoft executives touted the Surface Pro 3 as the tablet that could replace your laptop. Unlike a notebook PC, however, you'll still need to buy the Surface Pro 3's keyboard separately. 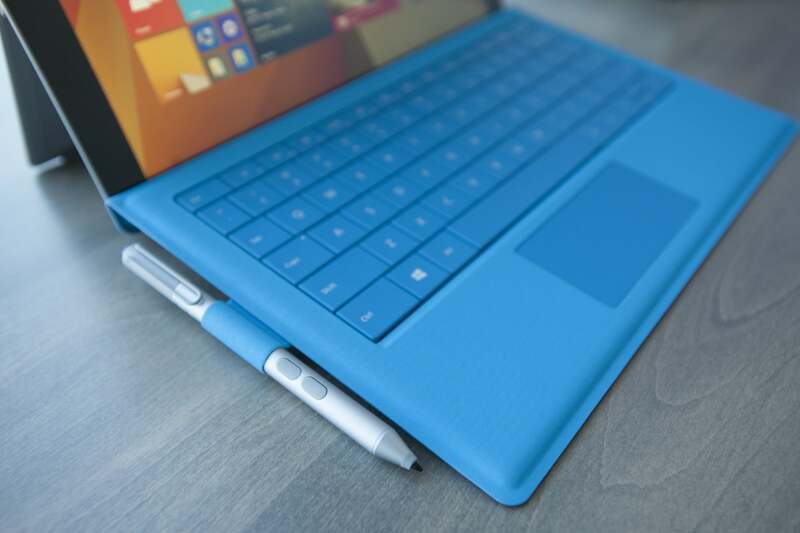 Consumers complained that the new Type Cover was a hidden cost of Microsoft's Surface Pro 3. "How is it possible to call the Surface Pro 3 a laptop killer when the device does not come with a keyboard?" user "SeiRyuSeijin" complained. "The keyboard is an "optional" accessory that is marketed as vital to the the Surface experience (to which I agree), but it makes no sense to charge so much extra for it." Microsoft responded that users wanted choice. "When we first launched Surface, we sold it only in a bundle format," the team replied. "The top feedback we got was that people loved the color covers and wanted full choice (but stores wouldn't sell all color bundles) and some people definitely wanted to buy without [a] cover." And to that, users suggested a $100 discount when purchased together. Microsoft did not reply. Users also complained that the concept of the Surface "blades," or specialized covers for various tasks, had largely disappeared. 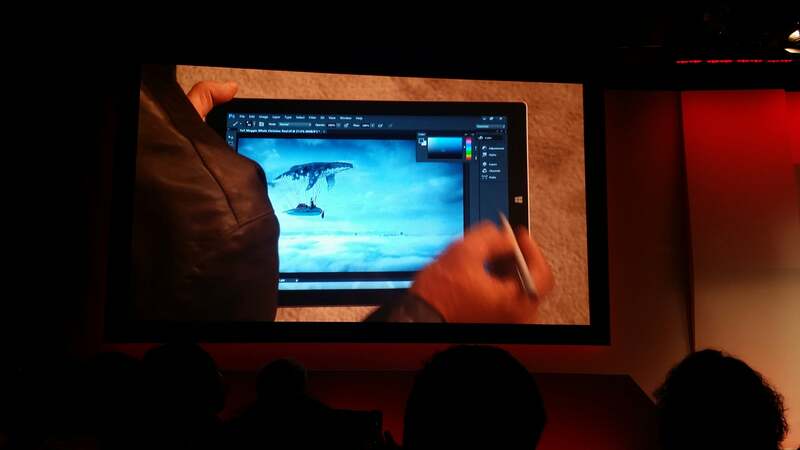 When Microsoft and Adobe showed off a touch-centric version of Adobe Photoshop at the Surface Pro 3 launch, representatives from neither company mentioned what running that software on a Surface tablet assumed: a powerful GPU to drive the scene. Users didn't. A touch-friendly version of Photoshop demands a GPU, right? "What would make the surface Pro 3 perfect for every utilization would be an external GPU to put on the desktop," "NotCassim" wrote. "With that i could replace my laptop, my tablet and my desktop by a single device, the Surface Pro 3. Have you ever considered it?" Apparently not, as the Surface team merely said that they loved the suggestion. In all fairness, external GPUs such as the 2007 Asus XG Station have been few and far between, with the "external GPUs" found on Amazon simply offering the ability to connect multiple monitors to a laptop. And adding an external GPU inside the tablet will have a significant effect on cooling. But it's still an advantage that some notebooks have. Microsoft also reported that the Core i5 and i7 versions will drive a single 4K monitor or two 2K monitors besides the native display. The cheapest, Core i3 version will drive a 4K monitor as well, but just two HD monitors, as well as the Surface Pro display. 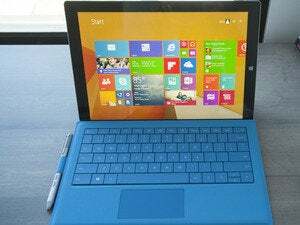 The battery performance will be the same across all three processor versions of the Surface Pro 3, Microsoft wrote. The Core i7 will see benchmark scores approximately 15 to 20 percent better than the i5 version of the Surface Pro 3, Microsoft said. But if you have to replace a Surface Pro 3 battery outside of warranty, users reported, the cost can be horrendous: $450, far more than the $130 Apple charges to replace a MacBook Air's battery. Microsoft executives, however, claimed that such a replacement would be relatively rare. They also added a note to mention that the cost of a battery replacement outside of warranty will be $200. "The batteries on our Surface products are designed with some of the highest charge cycles for consumer electronic devices," the team wrote. "This means that the battery can get charged daily (5 days a week) for over 4.5 years and still maintain 80% capacity." Updated at 1:09 PM with additional comments from Microsoft.